When will be Amazing Animal Births next episode air date? Is Amazing Animal Births renewed or cancelled? Where to countdown Amazing Animal Births air dates? Is Amazing Animal Births worth watching? Amazing Animal Births is a series in which zoologist Lucy Cooke will be witnessing the miracle of life as she sees first-hand the incredible bond between a mother and her offspring - that extraordinary moment when a little baby comes into a huge world.From alligators, alpacas and gorillas, to guinea pigs, tapirs and lions, Lucy will be there as these animal babies embark on their amazing new adventures. It's the third episode, Lucy heads to a farm in Leicestershire to help out with a somewhat tricky calving.There she meets farmer Martin Smith, who runs a herd of 170 dairy cows, and he's woken up to find a two-year-old first-time mum calving. 145 calves have already been born over the Summer, and Lucy is hoping to witness number 146 come into the world. In episode four, Lucy Cooke heads to an Alpaca farm where she helps with some complicated deliveries, and she meets the woman who has over 300 guinea pigs and our cameras capture the latest new arrivals being born. This week, Lucy gets a front row seat at a pig farm as Gobby the sow pops out sixteen healthy piglets, and in Yorkshire she learns more about the breeding of the stunning barn owl. In the last of the series, Lucy Cooke meets Carron the Shire horse as she becomes a mum for the ninth time, and at Blackpool Zoo, we meet lioness Rachel as she becomes a mum against all odds for the first time. 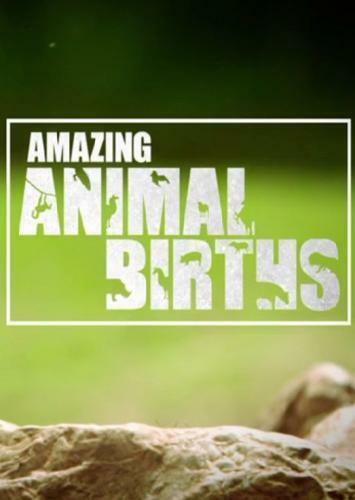 Amazing Animal Births next episode air date provides TVMaze for you. EpisoDate.com is your TV show guide to Countdown Amazing Animal Births Episode Air Dates and to stay in touch with Amazing Animal Births next episode Air Date and your others favorite TV Shows. Add the shows you like to a "Watchlist" and let the site take it from there.